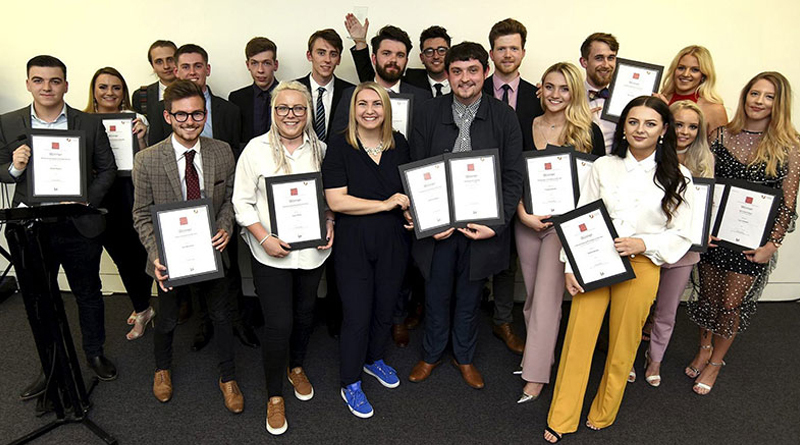 Talented media students have received prizes at Teesside University’s annual Journalism Awards. The event, which was hosted by BBC 5 Live Presenter Anna Foster, took place at the Middlesbrough Institute of Modern Art (mima) as part of ExpoTees. Journalism students received awards based on exceptional work produced during the past academic year. Winners were commended for the skills learnt on the BA (Hons) Journalism, BA (Hons) Sport Journalism and BA (Hons) Multimedia Journalism degree courses. Among the awards were News Reporter of the Year, Best Feature Writer and Blogger of the Year. Prizes included a number of work placements with The Gazette, The Northern Echo and The Hartlepool Mail along with work experience at Sky Sports News, The Sun’s Fabulous Magazine, Mirror Online, Global FM, BBC Tees and TV station Made in Teesside. A number of special academic awards were also given out, including the NCTJ Prize for the student with the highest overall marks while training for the National Council of Journalism qualifications. Awards host Anna Foster currently presents the early evening programme 5 Live Drive on Monday to Friday on BBC 5 Live. She was born and educated in South Shields and is a graduate of Durham University and City University in London. She then joined BBC Radio Cleveland as a reporter for three years, before becoming a news presenter, and then co-presenting the drive-time show. Anna also worked on Newsbeat on BBC Radio 1. Hannah McMahon, Course Leader for Journalism in the School of Computing, Media & the Arts, said: “These awards recognise the hard work and excellent calibre of our current journalism students and the students were thrilled to be awarded their prizes by Anna Foster. Elsewhere Luke Beaumont, a second-year sport journalism student, was a finalist in the prestigious Football Blogging Awards which took place at Alexandra Palace in London on 17 May. Luke has created his own website, Major League Shocker, and won the award for Best International Football Blog.